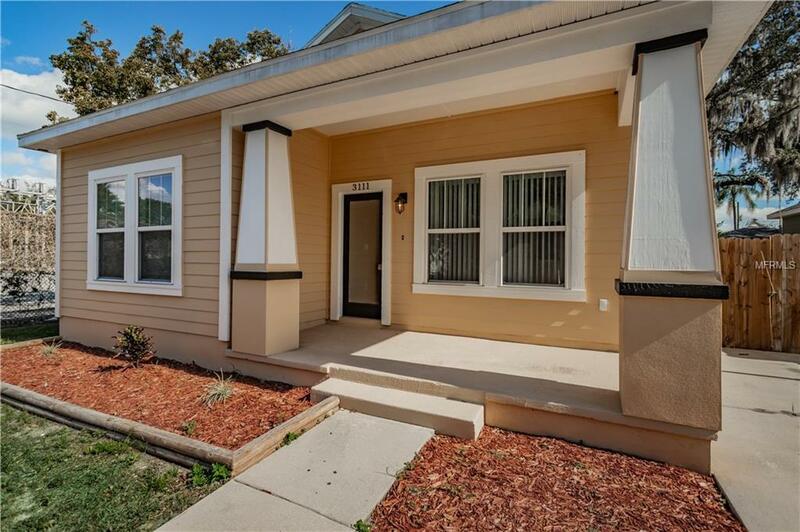 COME SEE THIS BEAUTIFUL 3/2 BUNGALOW STYLE HOME LOCATED IN TAMPA HEIGHTS, WOOD CABINETS, GRANITE COUNTER TOPS, WOOD LAMINATE FLOORS, TILE IN ALL WET AREAS AND BERBER IN THE BEDROOMS. 12' CEILINGS, CROWN MOLDINGS AND FRESHLY PAINTED INSIDE AN OUTSIDE, FENCED YARD. NEW MODERN BLK STAINLESS APPLIANCES.TRULY A PERFECT OPPORTUNITY FOR YOUR BUYERS TO GET A GREAT DEAL ON A GREAT HOUSE. SELLER WILL CONTRIBUTE $3000 TOWARDS YOUR BUYERS CLOSING COSTS....SELLER SAYS YOU PRESENT IT AND SELLER WILL CONSIDER IT ! !